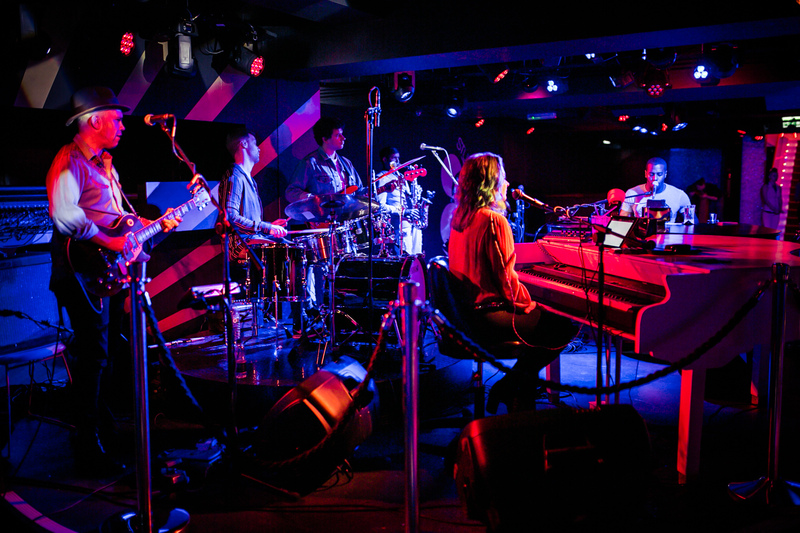 Studio 88, located just off Wardour Street, in the heart of London's West End is a live music venue with 3 bars, a main stage and a capacity to host 400 guests. 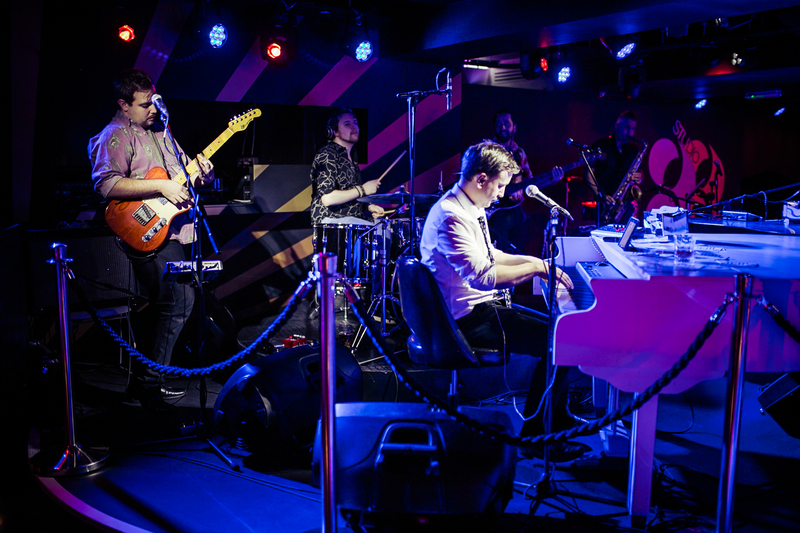 Studio 88 takes inspiration from the capital's creative industries of music, dance and film; even the name Studio 88 is symbolic to the 88 keys on a keyboard. Closed off from the outside roar of the city, Studio 88 presents a pink and blue underground 6 piece house band music scene. A perfect place for group outings and celebrations. 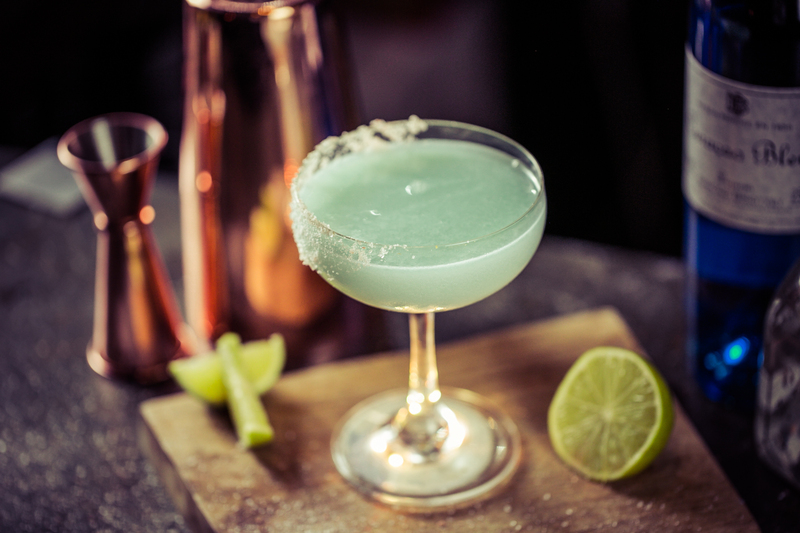 The atmosphere is contagious as it immerses the audience to dance, drink and eat. 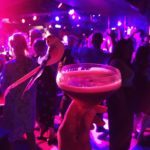 I was there on a date night with my fiancé on Saturday night and we love a good surprise and Studio 88 is just that! 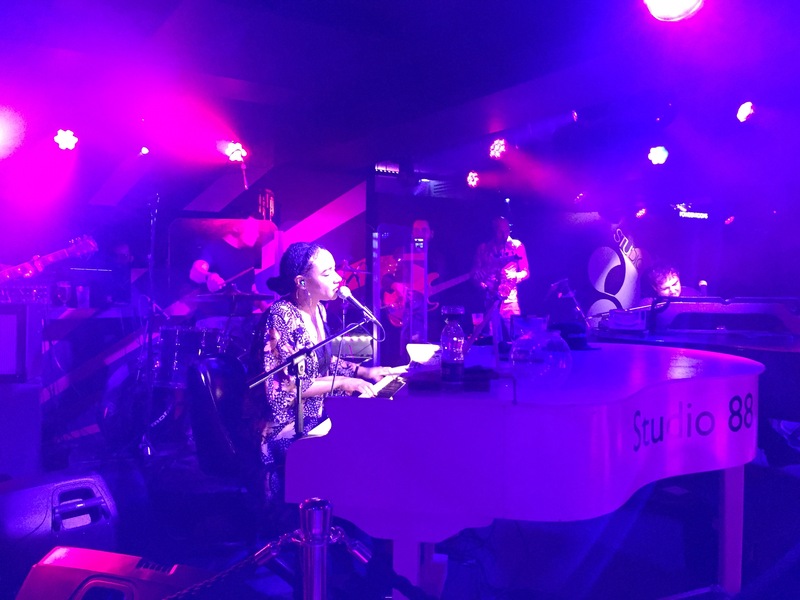 Every night 2 piano vocalists join forces along with a saxophonist, guitarist, bassist and drummer to play audience requests. This means no set band, no set playlist and a non-stop playing live jukebox. Music requests are must to keep the vibes going. It’s your chance to sing out loud and have your dream songs come to life by a talented group of artists. Of course we did our deed to contribute and hear one of my favourite songs "Uptown by Bruno Mars". 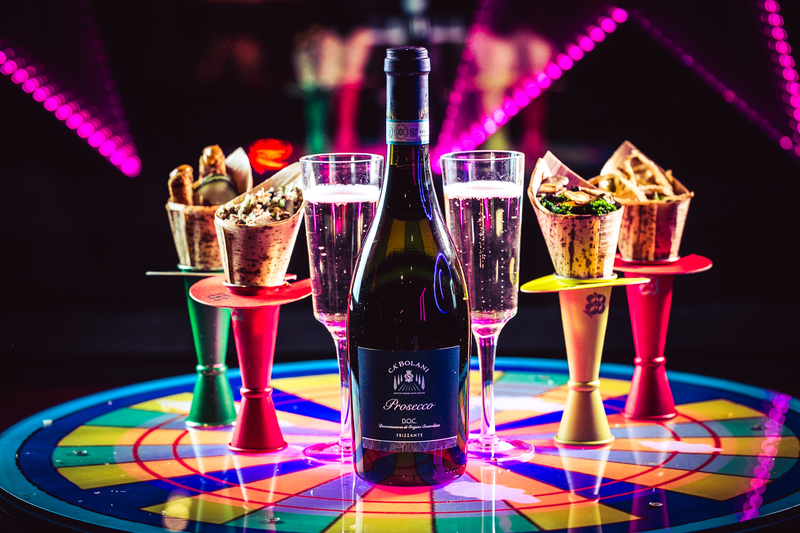 When you are off the dance floor Studio 88 features an innovative culinary experience for you to enjoy. 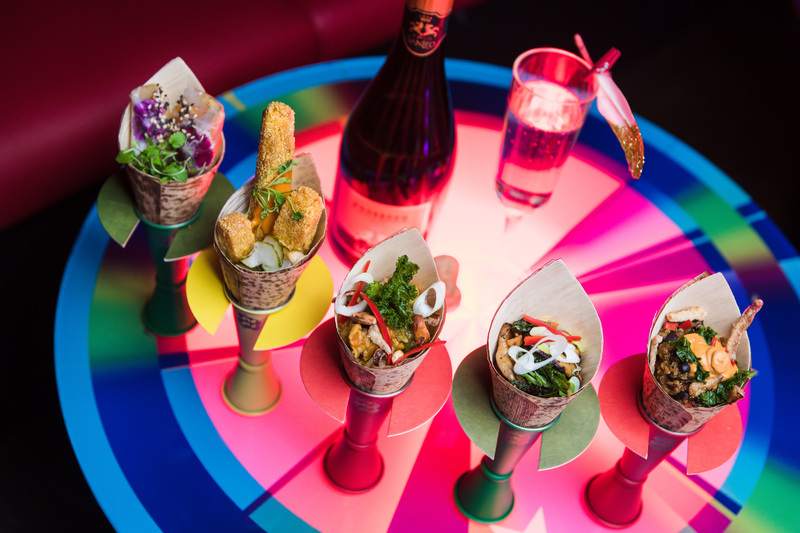 We opted for the set menu, a tasting menu of 6 California cones which includes fresh and vibrant flavours. 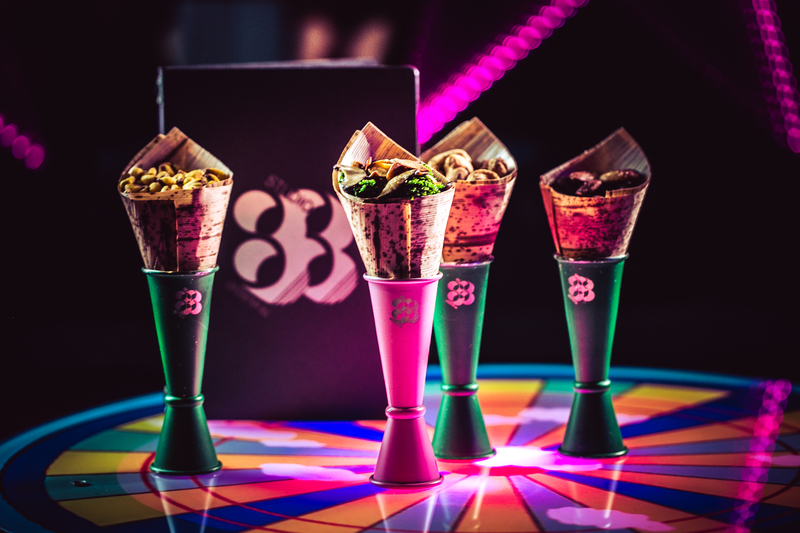 Each course is served in an individual bamboo cone, introducing the audience to a different approach to social dining while making it very appropriate to the Studio 88 concept. Main ingredients include Thai basil, mint, coriander, mango, pineapple, crab, mushroom and carrots. The 6 cones are served with a variety of meat, fish and vegetarian fillings. 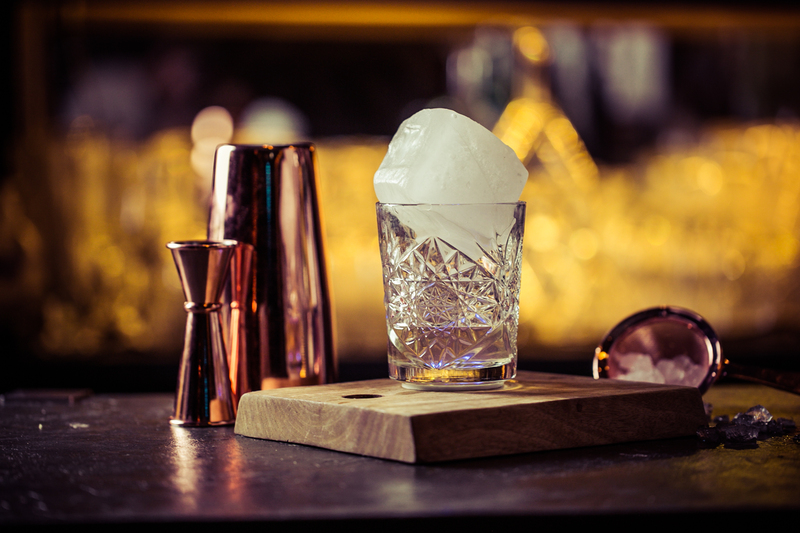 The cherry on top was the impressive Autograph Cocktail Collection, as it is unique in taste and appearance, inspired by legendary music and film studios throughout time. There is also the House of Song Signature Collection which serves all classics with a twist for the traditionalists. Simona, our usherette, made sure we were well fed and had a wholesome experience tasting the theatrical Autograph Menu. The Astoria Studios cocktail was fresh with ginger, lime and mint, Universal studios is a silver blue drink with edible pearl glitter and Hitsville Studios features elderflower, cucumber along with a polaroid picture. As hard as it was, my all-time favourite was Walt Disney studios, fresh & fruity, whereas my fiancé enjoyed the smoky taste of the Sun Studios. Enjoy your prefect soundtrack with a fantastic live jukebox at Studio 88! A special thank you to Luxuria Lifestyle , Studio 88 and Roche Communication for arranging an unforgettable night out!